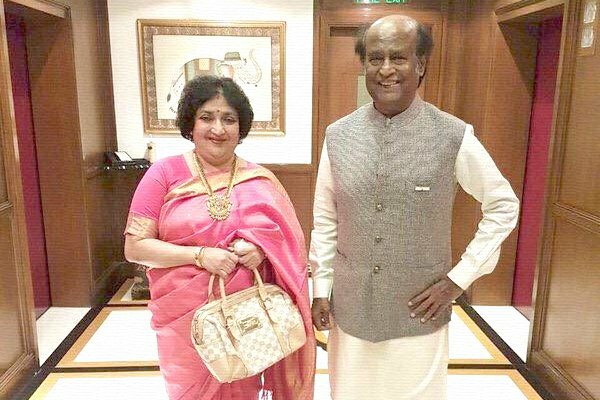 The Supreme Court on Tuesday pulled up Latha Rajinikanth, the wife of Tamil superstar-turned politician Rajinikanth, for not complying with its order and her undertaking to repay the outstanding amount of Rs 6.2 crore to an advertising agency. Latha Rajinikanth is one of the Directors of the Mediaone Global Entertainment Ltd. that had taken Rs 14.90 crore loan from Bengaluru-based Ad-Bureau Advertising to finish post-production work of 2014 Rajinikanth-Deepika Padukone starrer film “Kochadaiiyaan”, directed by Rajinikanth’s younger daughter Soundarya. The amount outstanding is Rs 6.2 crore. Counsel for Latha told the court that she had not authorised the lawyer to give such an undertaking before the court earlier. At this, the bench of Justice Ranjan Gogoi and Justice R. Banumathi said: “We do not like people playing around with court’s order. It also observed that it did not “think that this is a case for quashing”. On February 20, the bench while keeping the petition by the advertising agency pending for three months, had said that Mediaone would pay the amount in three months failing which Latha Rajinikanth would bear the burden of payment. The bench was hearing a plea filed by the Ad-Bureau Advertising against the March 10, 2016 order of the Karnataka High Court quashing the proceedings against Latha, which were initiated after a trial court order. She had approached the high court after the trial court had referred the private complaint filed by the advertising agency to police for investigation.